We call it our cottage but it's really a second home. It is a weekly rental with arrival and departure on Saturday. Enjoy fabulous sunsets from this idyllic coastal cottage situated in one of Maine's most picturesque harbors. A large screened porch faces west and graces the front of the cottage providing additional space with views of the inner harbor directly out to Blue Hill Bay. Inside you will find a master bedroom with bath and walk-in closet (the bed is queen size with a firm mattress), a living room with harbor views (large TV with cable and DVD player, radio, and wireless internet access), a gourmet eat-in kitchen, a second bedroom with two single beds that can be converted to a king size bed. 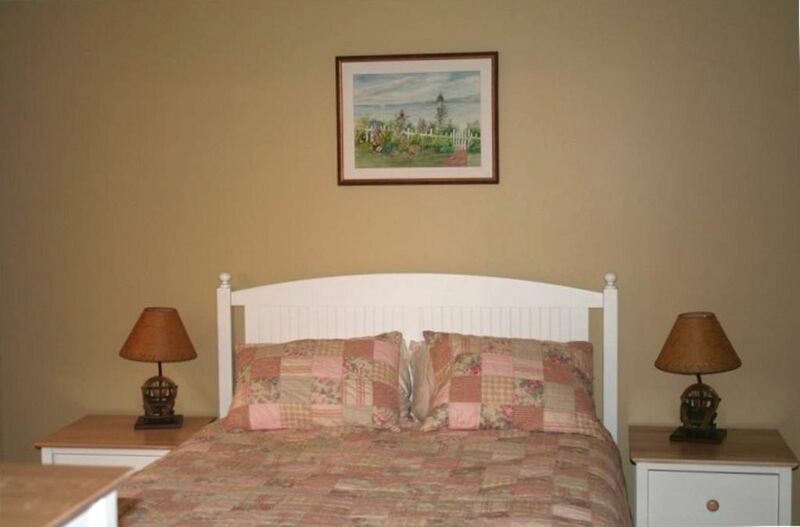 Let the rental agent know if you would like the king size bed made up prior to your arrival. There is another room with futon that will comfortably sleep one or two youngsters. There are fans but a cottage on the ocean usually receives cool breezes so are rarely needed. There is a well equipped kitchen and gas grill in the shed. If you like eating out, there are several nice places nearby. There is a lobster dealer within walking distance that sells live lobster and fresh crab meat. Pots for boiling lobster and steaming clams are in the basement and a propane boiler is in the outside shed. Precooked takeout of clams and lobster can be purchased on the other side of the harbor - short drive. The cottage is elevated from the road in front and with landscaping it offers privacy. The front lawn is level. Bass Harbor Lighthouse is an easy mile walk (one-way). Aa short drive (5 minutes)will take you to either the Ship Harbor or the Wonderland trails and a leisurely hike along the ocean shore. Use our hiking guides to find the many other trails in Acadia National Park or maps for bike loops. Bike rentals are available four miles away in Southwest Harbor. Kayak rentals are also available nearby. Guided kayak trips can be arranged in Southwest Harbor. The Island Explorer shuttle stop is a two minute walk and will take you and your bicycle almost anywhere you would like to go on Mt Desert Island. Parking can be an issue in Acadia National Park so the bus can be a good way to travel. Mount Desert Island is home to Acadia National Park and Acadia is one of the most visited National Parks in the country. While visitors do flock to the area, Bass Harbor is located on the 'quiet side' of Mt Desert Island. While it's less visited, we are still only 25 minutes from most any location on the island. We are close to Echo Lake which is a fresh water lake with a wonderful beach. The cottage is close to hiking trails and biking loops. The village of Southwest Harbor is 4 miles away and offers shopping and nice places to eat. The smell of the salt air is a special early morning treat and the sights and sounds of the lobster boats leaving and returning the harbor is unique. The ferry to Swan's Island (inhabited year round) leaves several times a day from the terminal across the road. We like to use the 'Ferry Window' to watch the ferry dock, load, and depart. Taking our own trip on the ferry to Swan's Island with bikes makes for a nice day, too, but some days we just like to stay home and read. It wouldn't be a visit to Bass Harbor without a few lobsters for supper. Live lobsters can be purchased across the harbor at Thurstons. Kettles are in the basement and the gas cooker is in the shed. Our favorite time of the day is the evening. Watching the sun go down over Bass Harbor with all the boats safely moored for the night is really pretty. The property is separated from the Bass Harbor shore by Granville Road but there are several access points to the shore. We absolutely loved our stay at Cottage at Bass Harbor! Everything about it exceeded our expectations. It is in a great location on the quiet side of the island, yet close to restaurants and all that Acadia has to offer. The cottage is updated, very clean, with comfortable beds, spacious kitchen and cozy living room. We especially enjoyed sitting in the screened in porch looking out at the harbor. Immaculately clean, beautifully maintained and well-provisioned house! This house was the cleanest rental I've ever stayed in, and was well stocked with all we needed in terms of toiletries and kitchen supplies. The house is so nicely furnished. I especially appreciated excellent condition of the upholstered furniture in the living room -- in other houses I've rented, the furniture is often musty and old. The back of the house has a very pretty garden, and the front has a large lawn. The house is not in a secluded area (the Swans Ferry is across the street) but it was very quiet and very cozy. We really enjoyed our stay. This is a wonderful cottage for a vacation. All the details are well thought through and executed. The kitchen is thoroughly equipped. The bedrooms and bathrooms have excellent sheets and towels. The screened in porch was really outstanding. Bass Harbor is away form the fray of the rest of the island but nothing is too far away. Bass Harbor is a working harbor and the lobster boats as well as the Swan Island ferry start early. This harbor feels very different from others on the island. We were very pleased. First time using VRBO, was a great experience. The house set the standard high for other house in the future. House was well equipped and plenty of room. The ferry traffic was not a problem, road was quiet after last ferry at 5:45. Nice to sit on the front porch and watch the lobster boats come and go. Can walk to two different restaurants and to Bass Harbor light house. We did not use the free island shuttle but it ran on schedule all week. The property owner was great to work with got back to me on questions right away. The Very Best of the Best in Maine! The Cottage at Bass Harbor was the best of the best! The cottage had absolutely everything we needed or wanted for a comfortable stay. It is welcoming, immaculate, well stocked, obviously well-loved, and best of all, located in the quiet Bass Harbor area with a front porch that offered amazing sunsets and views of the lobster fishing activity. We loved hearing the ferry fog horn, the puttering of the lobster boats and they left and returned each day. We loved hiking and exploring all day to return to quiet evenings watching the sunset shine across the harbor and through the trees, and walking to Seafood Ketch for dinner on the bay. Easy access to Hansen's Outpost for some quick things we needed, and also near enough to the IGA beyond SW Harbor for groceries. The owners and caretakers were helpful and responsive throughout the process. We tried to experience the entire area of Mount Desert while we were there. One of our favorite trips was to Schoodic sitting on the granite watching and listening to amazing waves, much larger than Thunderhole, crash against the coast. We filled our week to the fullest, and have a list of things we were not able to fit in for when we return next year. Can't wait to come back to this Cottage at Bass Harbor. Wonderful home. It was clean and spotless and very neat. It had all the amenities you could ask for. The kitchen was well stocked with plenty of dishes silverware pots and pans etc. The house was on the quiet side of the island away from the crowds. The ferry service across the street was no problem at all. Fantastic sunsets from the front porch! We would definitely stay here again when we come to Acadia.